Ductile metal is used for the manufacturing of these Collapsible Aluminium Empty Tubes. Options: SEAL Nozzle, Long Nozzle, Internal Lacquer, Latex Lining, Shoulder coating. 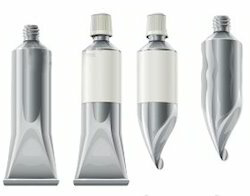 Aluminium collapsible tube is the only safe and secure mean of packaging for cream, ointment, cosmetics and other products. Apart from medicines it has its wide application in industrial and food products. 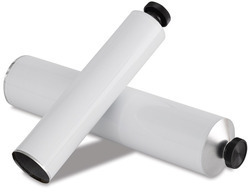 Aluminium tubes can be well decorated externally and are coated internally to provide lasting stability. We manufacture Aluminum Collapsible Tube. These are manufactured using high quality material being procured form reliable vendors.